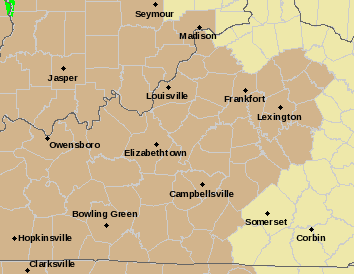 The National Weather Service in Louisville has issued wind advisory. “There will be gusty south winds today and tonight,” the weather service said. The wind advisory is in effect from 10 am Thursday until 7 am Friday. Strong sustained winds between 20 and 30 miles per hour with gusts up to 50 miles per hour. These winds could break tree limbs and branches and could uproot weakened trees. “Driving may be difficult for high-profile vehicles on east-west roads,” the weather service said.